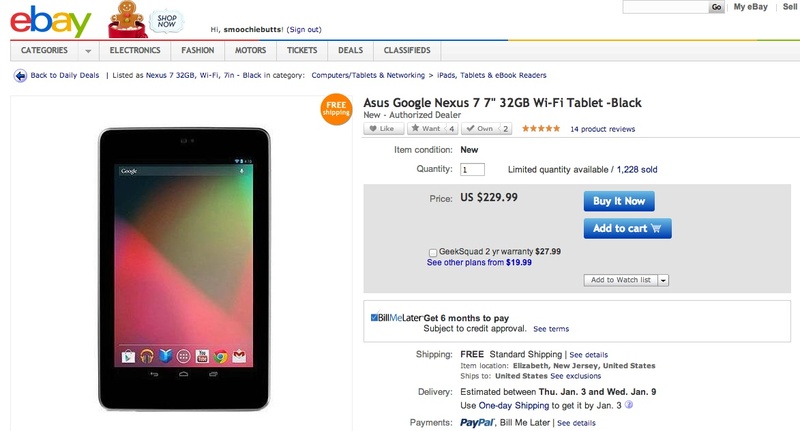 Today’s daily deals are up over at eBay, one of which is a 32GB Nexus 7 for $229. At that price, it’s $20 less than you’ll find it from the Google Play store, but to make the deal even sweeter, shipping is also free. Pretty solid price – hope you have some holiday cash still hanging around to be spent.